8 1/2 x 5 3/4 inches. 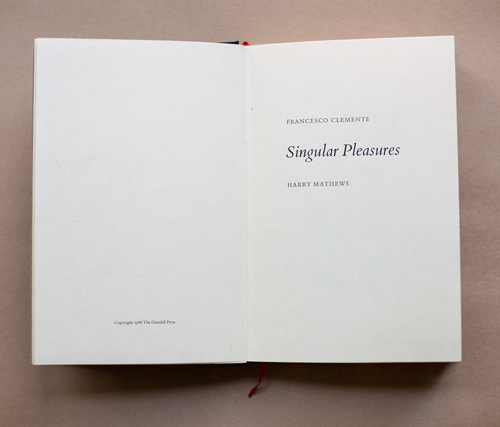 A limited edition book with 67 duotone lithographs by Clemente accompanying Mathews’ text. Printed on Kozo/Gampi in an edition of 350.